About a month ago I was fishing and lost my landing net. The water was high and moving fast and I was standing in a very precarious spot. 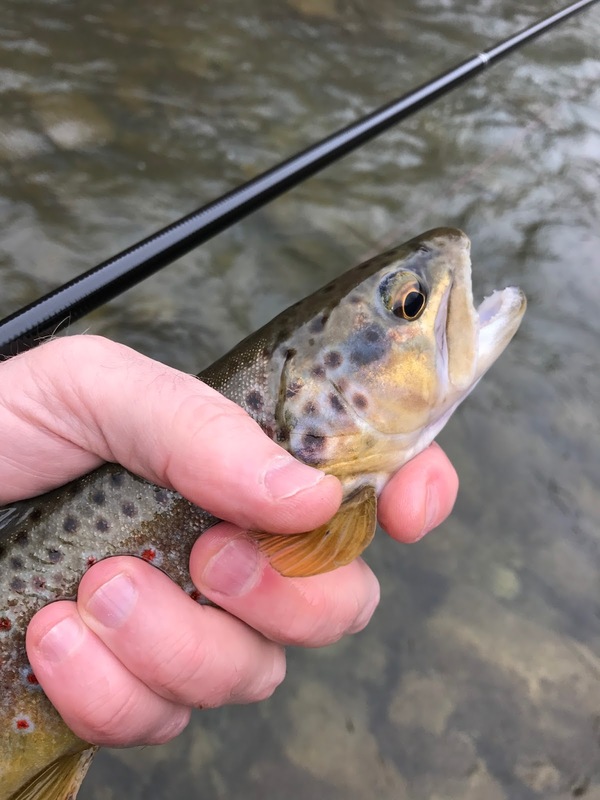 I hooked a nice brown, battled it (and the current) for a minute and then brought it to my net. I lifted it from the net, removed the hook and slipped the it back into the water. Unfortunately I also dropped my net. This happens to me a lot and it's usually of no consequence. The net had a leash or tether on it which usually stops it from running away. But this time the leash broke. I guess the current was so strong that the leash couldn't stop the net's momentum. 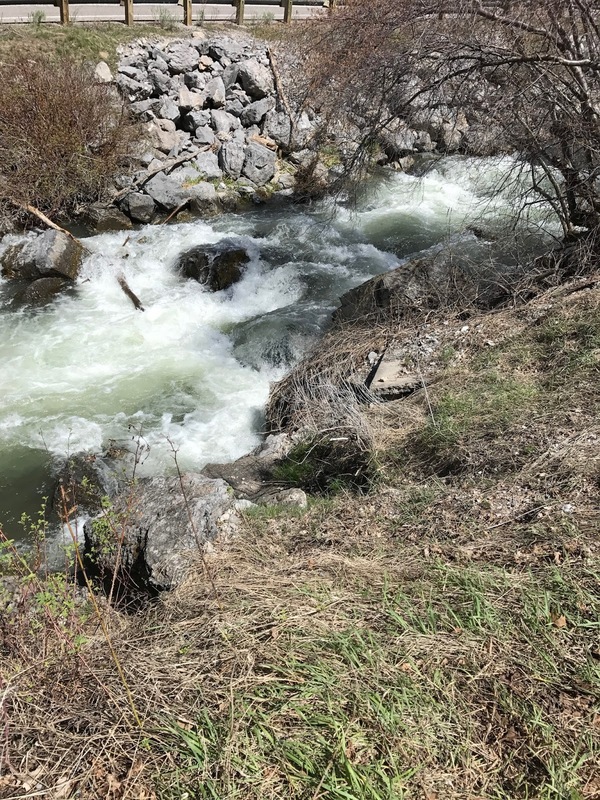 I was standing in high flow water up to my waist and couldn't move quickly without risking at the least getting wet, at the most drowning. I really shouldn't have been fishing; it was stupid of me. So, I needed to find a new net. I looked at a lot of nets available -- there are many good ones. 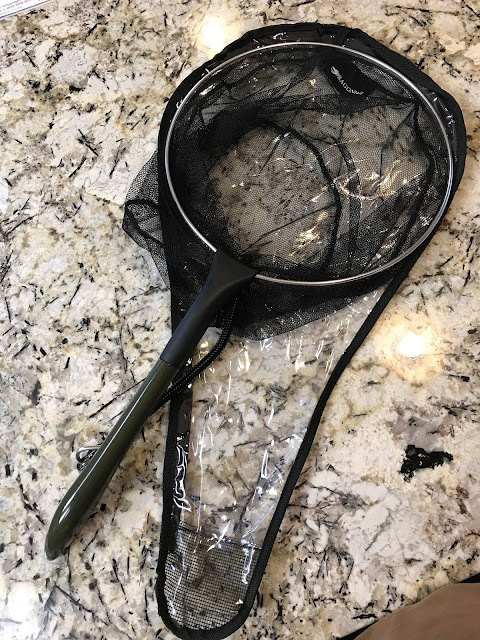 Mike, over at Troutrageous, just reviewed a few of the nets I looked at. After considering the shapes, sizes and prices I bought the DRAGONtail DAMO Tenkara Net 30 cm. I have a few nets, I have cheap ones, folding ones, one from Japan, and one custom wood one. They all have their pros and cons. But I really like my Shimano Damo. It's well made and holds up to strong currents when netting a large fish. That last point is important, that is, the net not folding in the current. 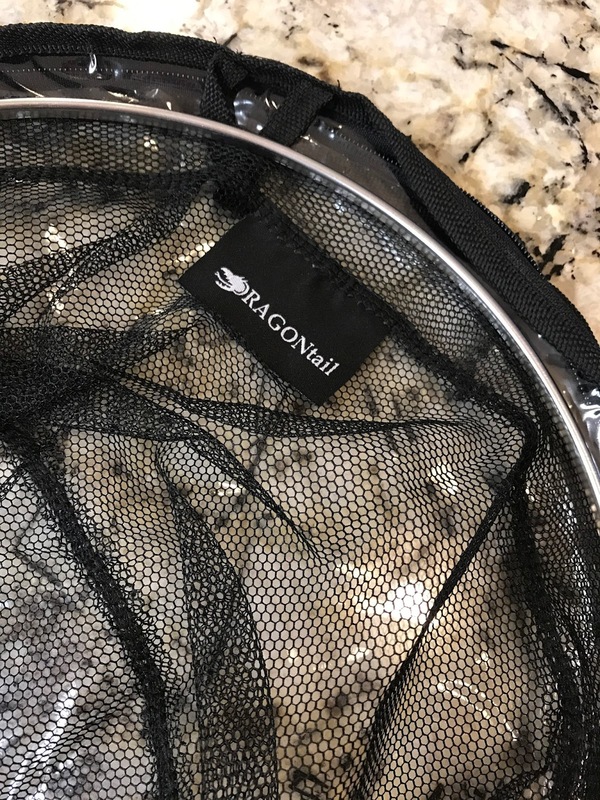 I'm aware that folding nets are very popular, and I have one that I use frequently. But I also find that if the current is at all fast, or the fish is large then the net rim tends to fold under the weight. This makes it difficult to net and quickly release the fish. More and more I am preferring a stiff rim net. The DRAGONtail DAMO Tenkara Net 30 cm is made for DRAGONtail Tenkara and looks exactly like the Shimano Damo, I mean exactly! 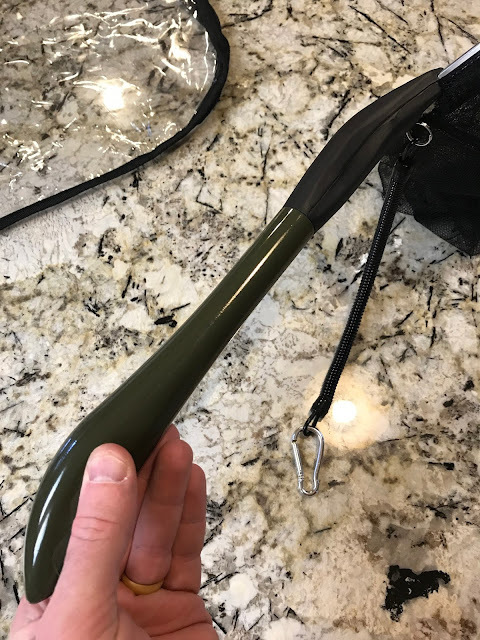 The handle is green instead of black but that's it. Setting the two nets side by side show that they are the same net. DRAGONtail has made the net mesh a little flatter on the bottom, to accommodate large fish, but the handle shape, length, rim, etc. are the same. Unlike the Shimano version, the DRAGONtail DAMO comes with a leash included in the price. 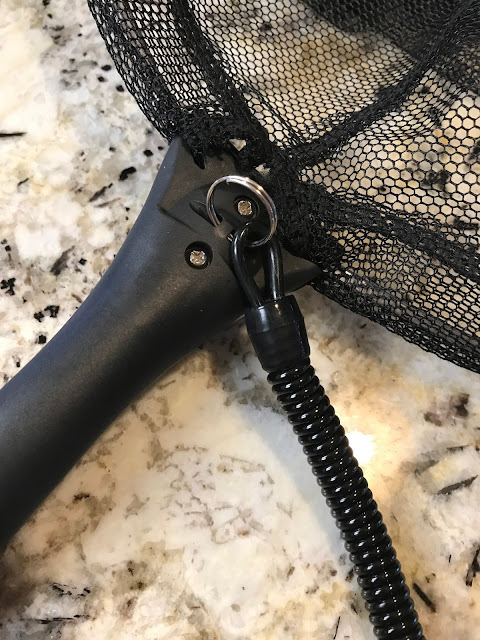 That, and that the price is $39.99 USD (at the time of this posting), make the DRAGONtail the best net for the money that you can get. It's a strong, well made net for very little money. So, if you are looking for a new net, and prefer the tenkara tamo or keiryu damo style, then take a look at the DRAGONtail DAMO 30 cm. I don't think you will be disappointed. I'm not! Disclaimer: My opinion regarding this net is just that, my opinion. Your opinion may differ. I bought this net at full price. I receive advertising revenue from DRAGONtail Tenkara, but this does not imply a favorable review of their products. It's nice to have choices! That's a very nice finding. Thanks for sharin it! The net might even work in a kayak!